There are a lot of extreme hobbies, which make it possible to gradually move from a smaller to a greater level of complexity, becoming more experienced. However, there are some hobbies, where you can’t have an instructor, there is no insurance or low altitude. And BASE Jump is one of these sports. Karl Behnisch popularized BASE Jumping and filmed his first jumps on the camera. 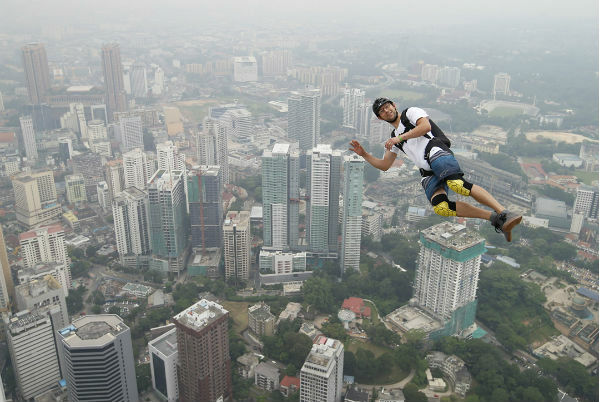 BASE jumping is skydiving, but with one main difference. You will have to jump not out of a plane, but a fixed object of certain height. BASE: B – Building, A – Antenna, S – Span of the bridge, E – Earth. If you want to become the best BASE jumper, you have to make jumps from all 4 objects (Building, Antenna, Span of the bridge, Earth). The minimum height of the jump is 50 meters, while maximum height is limited only by ground height of the object. 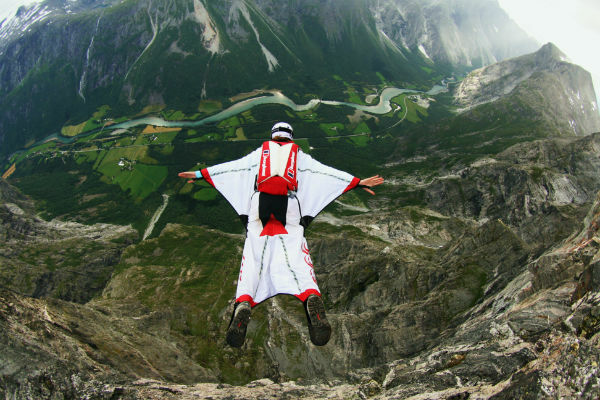 BASE jumpers have a special parachute that opens 15-40 meters before landing. 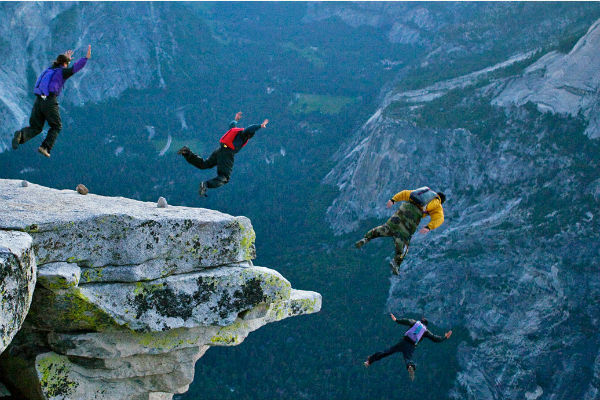 BASE jumping is also considered to be a very extreme sport, because 3-4 seconds after the jump you need to catch the correct position in order to have time to open the parachute. It’s very difficult and dangerous to do it in short time.